Two representatives of the opposition and civil society will end up in the newly-appointed Belarusian Parliament. 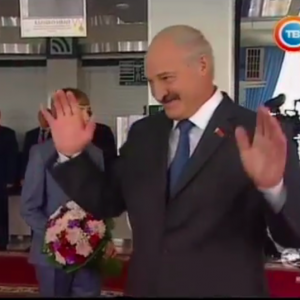 This reflects not the true level of support of the opposition, but rather Aleksander Lukashenka’s willingness to demonstrate good will to the European Union. The West, however, should not get too excited about this progress. Belarusian authorities have made clear that changes in the electoral process happen not because of domestic pressure but to please the West. Indeed, the prospect of massive domestic protest is almost non-existent, largely because of events in Ukraine. However, the economic crisis in Belarus is pressuring the authorities tired of being outcasts in Europe to diversify their partners. So what messages are the authorities trying to convey to the West? 1. The authorities will not fundamentally change the election process – it will remain entirely controlled. 2. They are making slow progress towards liberalisation and greater transparency of elections and support for the opposition is low. 3. It is now time to recognise the Parliament of Belarus and accept the leadership of Belarus at a higher level. Each of these messages should be taken with more than a grain of salt. It is true that the authorities remain entirely in control of the election process. The number of opposition representatives in the election commissions remains minimal; early voting and non-transparent ballot counting procedures allow the authorities to appoint anyone they want to Parliament while bypassing the election process. They have no serious intention of giving up control of election results and even the possible departure of Lidia Jarmoshyna will not change this. Election results fixed in the vast majority of polling stations fail to reflect the real preferences of Belarusians. With independent sociology on political issues virtually non-existent, it is hard to judge the true level of support for the opposition. However, allowing two pro-democracy MPs means that alternative opinions will finally enter the Parliament. It will also improve the morale of the opposition. However, the Parliament plays a merely decorative role in the current political system. In practise it initiated no laws, rubber-stamped all decisions of the executive and its members never seriously criticised the authorities. Moreover, the president can overrule any law with a personal decree. Should allowing two pro-democracy members lead to recognition of the Parliament in the West? The parliament should be treated as a decorative rather than a decision-making institution – as a symbolic organ which plays no real role in the political decision-making process. In other words, it makes little sense to have serious negotiations with the Parliament not only because it is far from being representative but also because it plays no serious role in politics. Any deputy minister probably plays a more influential role than the speaker of the lower chamber of the Belarusian Parliament. The authorities allowed two non-regime MPs out of 110 future MPs. At the current pace of liberalisation it would take Belarus hundreds of years to attain free and fair elections of all MPs. However, the West needs an excuse to cooperate with Belarus for geopolitical reasons. 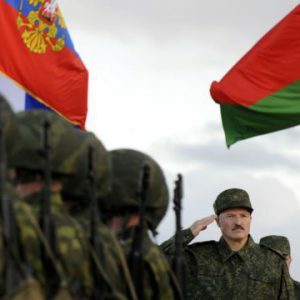 Belarus matters as a part of the European security puzzle, as a country which transits energy, migrants and goods. Normalising relations with the Belarusian authorities should not be an aim on its own. Not only security and geopolitical goals should drive cooperation but also concrete projects to improve the lives of Belarusians. These should include anything from visa liberalisation and improving the business climate to cooperation in education, exchange of know-how, and institutional and rule of law reforms. The West will persist with its demands of liberalisation in Belarus. But the modest improvement seen during these elections will make it easier for Belarusian society and the international community to accept the greater degree of pragmatism in the West's attitude towards the Belarusian authorities.